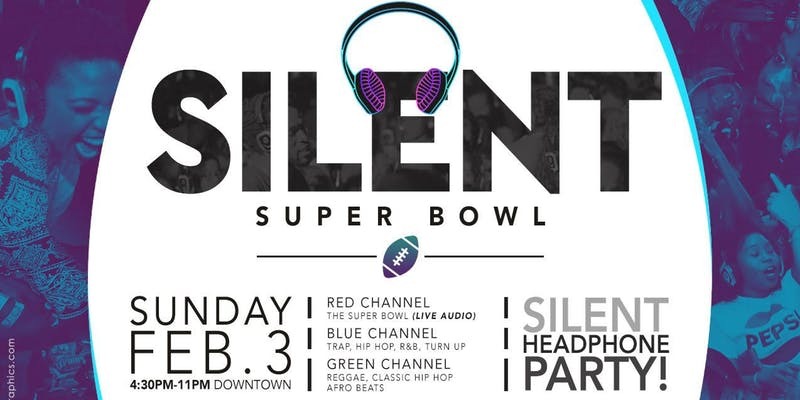 What is Silent SuperBowl? A headphone party on Superbowl Sunday at Harry Buffalo sports bar on Church St from 5-11PM. Relax and listen to the game or party and dance with your friends. You control your experience. GREEN CHANNEL - Reggae, Classic Hip Hop, Afro Beats. Have your house party with us! Full live Super Bowl game audio on Red Channel, combine that with 2 Dj’s At The Same Time Spinning The Best Of The Best Music From 80’s, 90’s Early 2000’s To Hip Hop Top 40, Rnb To Reggae, Soca, Dancehall Tunes…. Party With Your Friends, Party With Others, chill and watch the game…. You DECIDE YOUR GOOD TIME WE GOT THE REST!